AC BLOWER MOTOR RESISTOR KIT WITH HARNESS – Controls the fan speed in your AC and heating system. If you can no longer adjust the air speed with your AC controls or your AC system no longer blows chances are you need a new Blower Motor Resistor. This COMPLETE KIT includes the Blower Motor Resistor, New Wire Harness, and Wire Harness Connectors. 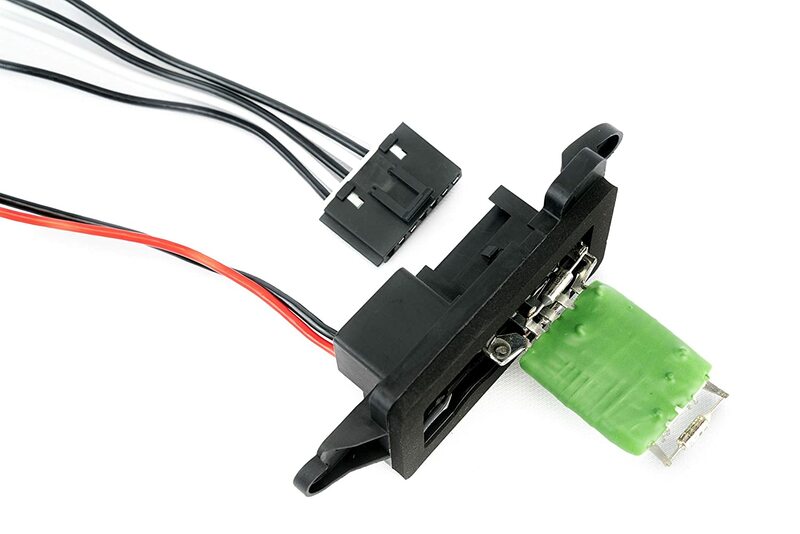 The AC Blower Motor Resistor is located on lower passenger side dash and is easily accessible by removing a few screws. OEM, FIT, QUALITY, FINISH – A direct replacement for your your factory HVAC Fan Blower Motor Resistor. While this is NOT a genuine GM part, it is a direct replacement and easily installs into your AC blower motor. Simply remove the screws that secure the blower motor resistor into the blower, remove the resistor assembly, and install the new resistor in place. LIFETIME WARRANTY – This AC Blower Motor Resistor Kit comes complete with a Lifetime Warranty. If the witch every fails on your Chevrolet, GMC, Cadillac, or Chevy simply contact us for a replacement.